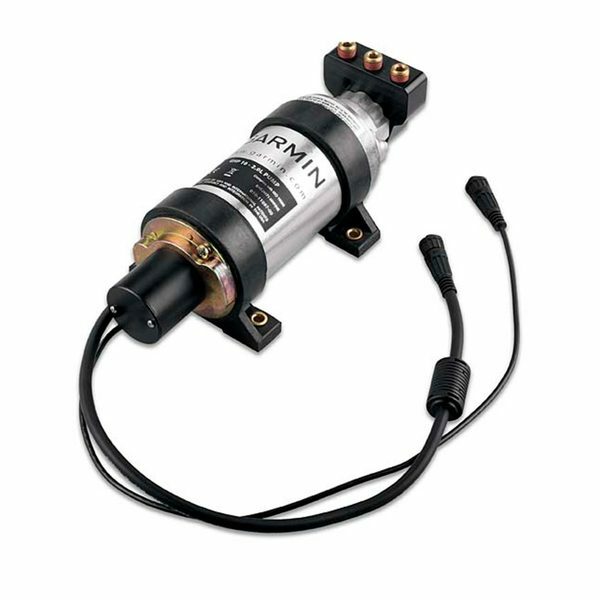 Use Garmin’s 2 Liter pump kit with your GHP™ 10 system to pump hydraulic fluid from the steering cylinders to the steering wheel at the helm. Total Steering Cylinder(s) volume between 10cu.in. and 24cu.in. Engines less than 400HP. Balanced cylinders (add 010-11201-00 for unbalanced). Dimensions: 11"W x 4 11/16"H x 3 11/16"D.